30 miles of trails, parks, boat launches, and other attractions along the river once famously called "too thick to drink, too thin to plow." The formerly polluted and forgotten river is now a thriving ecological and recreation resource, a result of the development of one of the first greenway systems in America. With membership from four counties and nine municipalities, the South Platte River Greenway Foundation has served as a prototype organization for over a dozen greenways across the country. 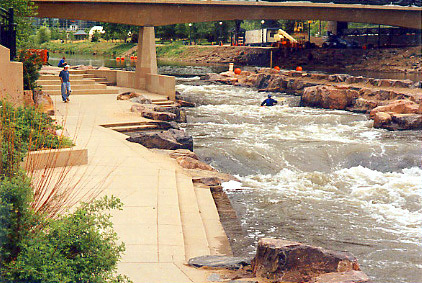 The South Platte River was dumped in, neglected, and cut off from Denver until a major clean-up effort began in in June, 1974. Armed with an influx of state funding, Denver's then-Mayor, Democrat Bill McNichols, formed the Platte River Development Committee and asked Republican State Senator Joe Shoemaker to head it up. A model of efficiency, the committee divided into distinct teams, each assigned one section of riverfront. This method of "divide and conquer" quickly resulted in the creation of a number of distinct small parks or "nodes." Later, these nodes were joined together with a trail in the hopes of providing a springboard for additional improvements. The committee also counted 240 places where pollution was being dumped directly into the river. 200 violators stopped peaceably and 40 were sued successfully on behalf of the city. 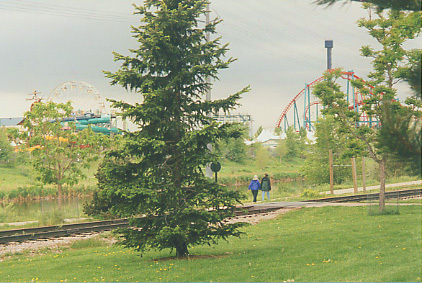 Unsightly businesses were encouraged to relocate, and railroad lines were rerouted. 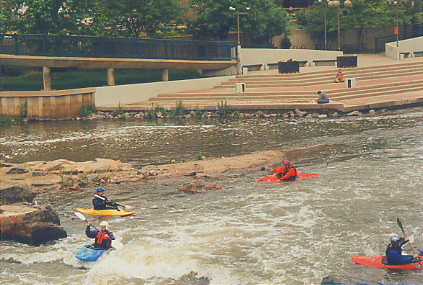 In 1977, with seed money from the Gates Foundation, the committee transformed itself into a tax-exempt, 501c3 organization, the South Platte River Greenway Foundation, Inc. In seven years, the Foundation raised $14 million, built 10.5 miles of concrete trails, four whitewater boat chutes, and 17 miniparks out of dumps where public agencies, and private businesses had been dumping trash for decades. 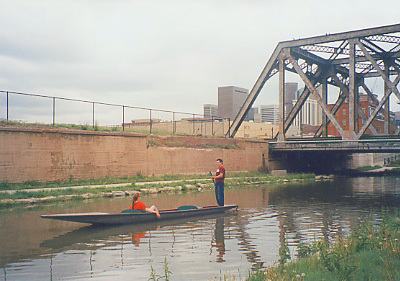 After a decade long lull, due primarily to the increasing regional population, and the redevelopment of downtown Denver, the 1990s saw a resurgence of the river's development and rehabilitation. $35 million has been invested in six separate river park projects, and partnerships with Denver Public Schools have led to 25 on-site and school-based educational programs. According to the Mayor's office, when combined with reinstated youth ranger and employment initiatives, these programs have helped bring over 17,000 youth to the river from 1995-1997.